The versatile “Nathan Cole Duo" offers a variety of styles and can adapt well to the mood of the audience. Made up of Nathan Cole on guitar/vocals and Borris Thorpe playing bass guitar their big sound is packed with tasteful guitar work, intricate catchy bass lines and the driving beat of a foot stomp box. 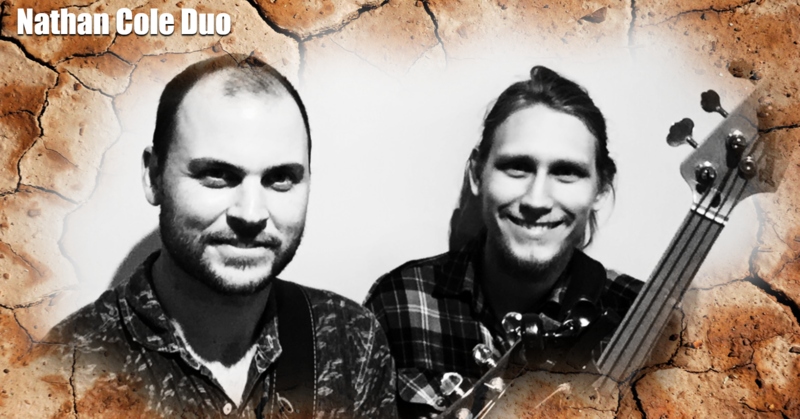 For venues after a larger rhythmic up beat sound or clients searching for an acoustic guitar driven performance Nathan can cater to your requirements and also offers the option to choose a percussionist or second guitar player instead of a bassist. The guys draw from a setlist which is a mash up of dancing as well as chilled music as suits the occassion, and features an eclectic mix of pop, rock, blues and funk from the 50’s to present day. Of course requests are always welcome and there are always plenty of popular songs to suit your needs whether you want to be up and dancing, or sitting back relaxing during dinner.